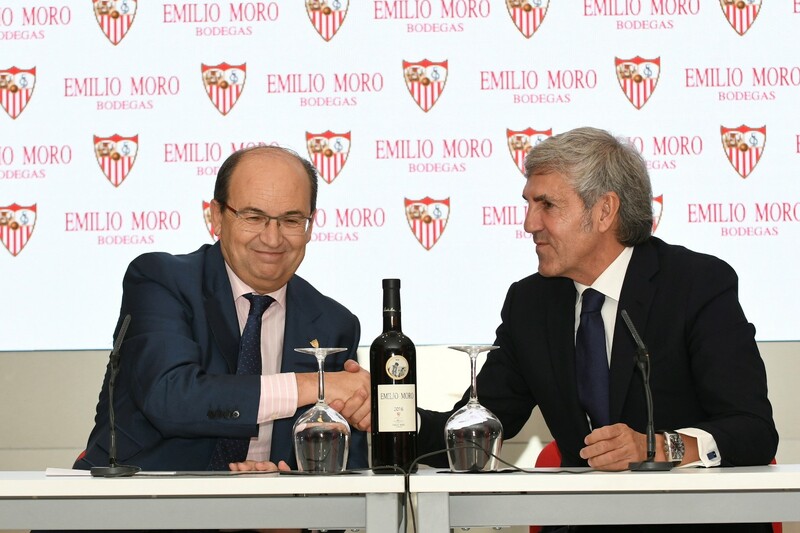 Our president, José Moro, and the president of Sevilla FC, José Castro, signed the collaboration agreement today in the press room of the Ramón Sánchez-Pizjuán Stadium. Both institutions, whose tradition and reputation are recognised worldwide, are prospering. Thanks to the daily work of our winery staff, our wines enjoy a high reputation both within Spain and worldwide. For its part, the Sevillian club, chaired by José Castro, is currently leading LaLiga and is making good progress in the Europa League, a competition that it has won five times, the last three consecutively between 2014 and 2016.